Make Rustic Easter Decorations for a farmhouse Easter with these DIY Easter decorations. 12 Easy Homemade Easter Decorations for your Easter Home decor. Spring is on its way, and with spring comes Easter. Over the past few years, I have fallen in love with the rustic look. From the traditional farmhouse look to the greenery, rustic decor is perfect for spring decorating for a farmhouse Easter here on the Ranch. I wanted to be able to incorporate a few Easter-themed items into my spring decor, so I thought I would share some of my best finds with you! There is something on this list for everyone no matter what you’re looking for in your decor. Also, don’t forget to check out our very popular Brown Sugar and Pineapple Ham Glaze and our Mini Easter cake recipe. 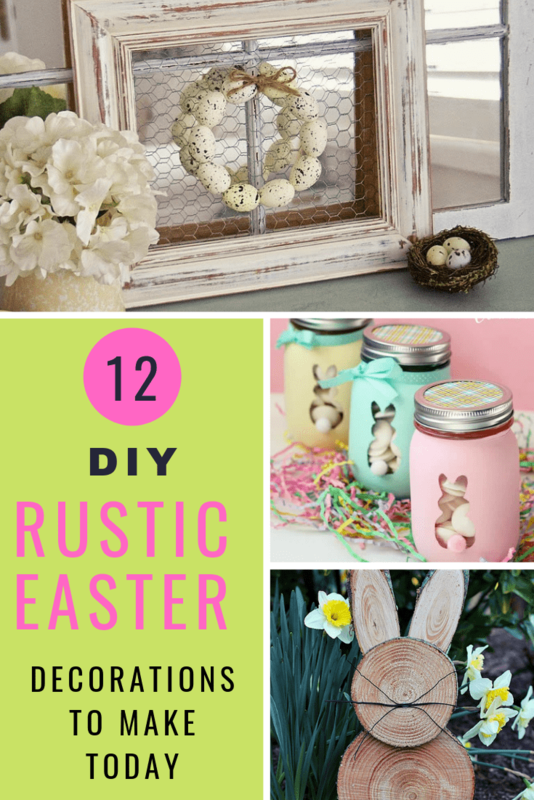 Now here are some DIY Rustic Easter Decorations to help you decorate your home for Easter without sacrificing your rustic dreams. 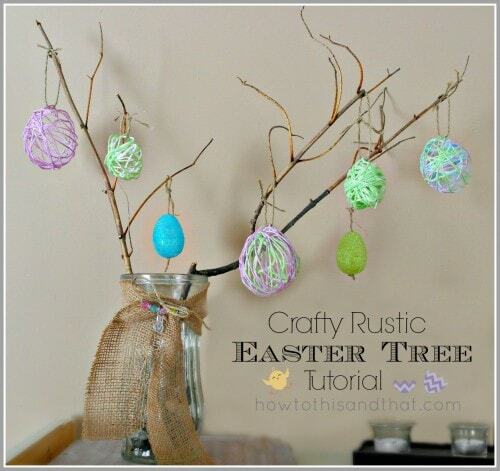 Make this rustic and crafty Easter Egg Tree that brings a little of the outside in. And it can be made to compliment your decor color scheme and it’s kid-friendly. Now isn’t this Victorian Bunny a classic? 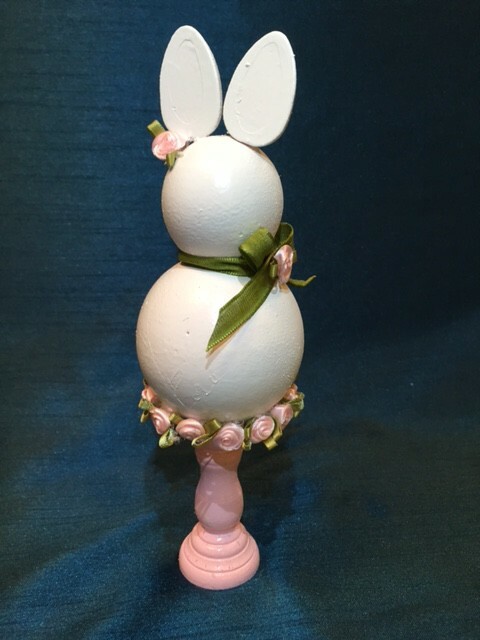 You will be amazed at the simple items that are used to make this vintage decor bunny. And you will love how it brings the look of an old World farmhouse Easter into your Decor. There are so many variations for this Scrapbook Bunny Art with free downloadable Bunny Silhouette Printable. 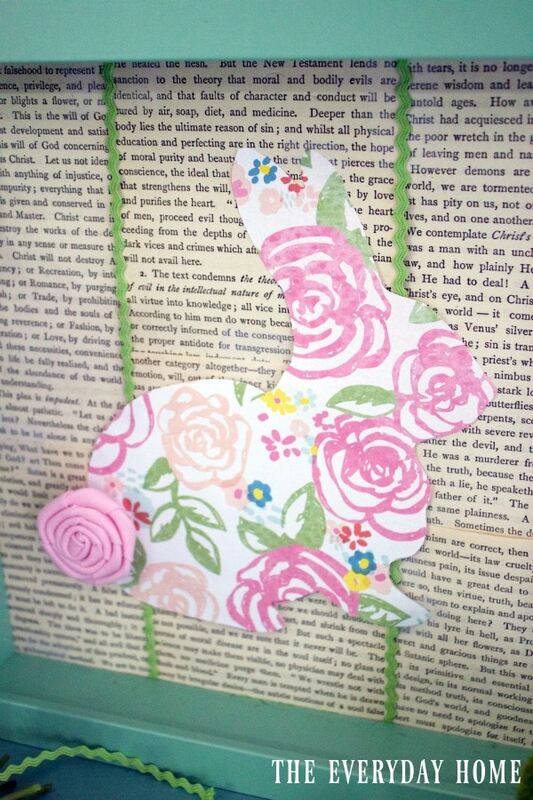 You could use scrap paper and old books or go with a traditional silhouette black bunny on colored paper. 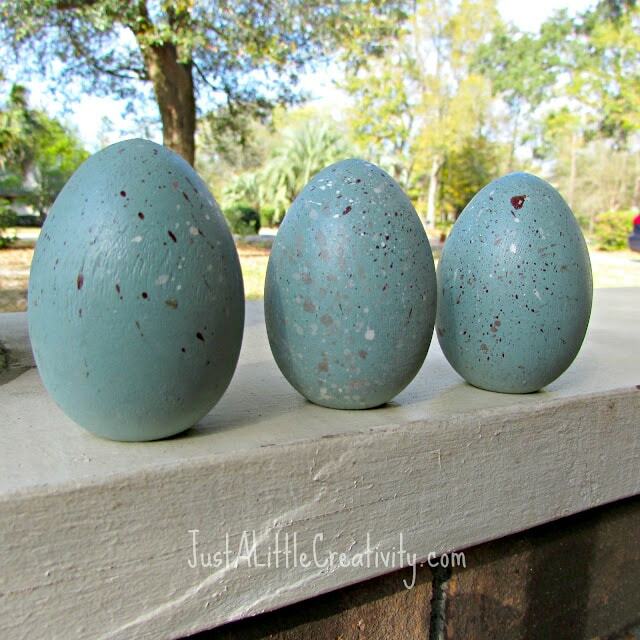 Easily paint these DIY Wood Speckled Robin’s Eggs. These DIY Easter decorations are so simple and can even be used after Easter for a Spring Display. 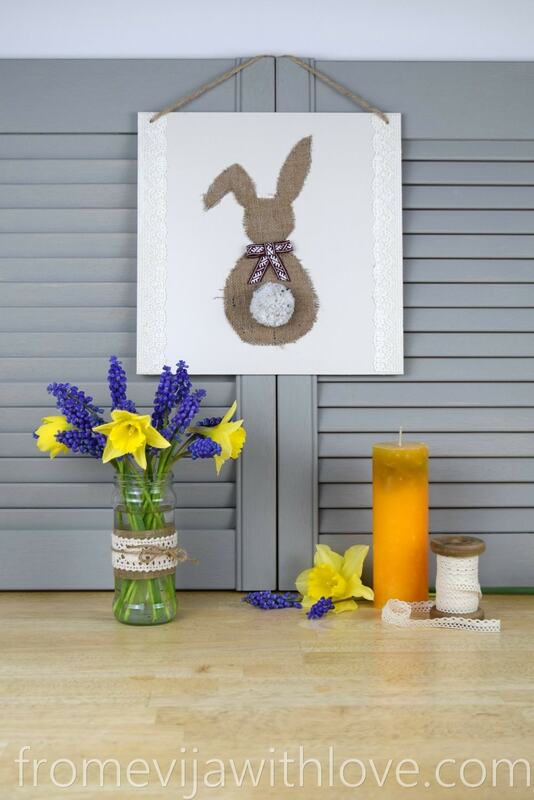 This Rustic Easter Bunny Hanger Sign is made from burlap for a farmhouse look. You could use any shape plaque or wood sign and add the three-dimensional bunny. 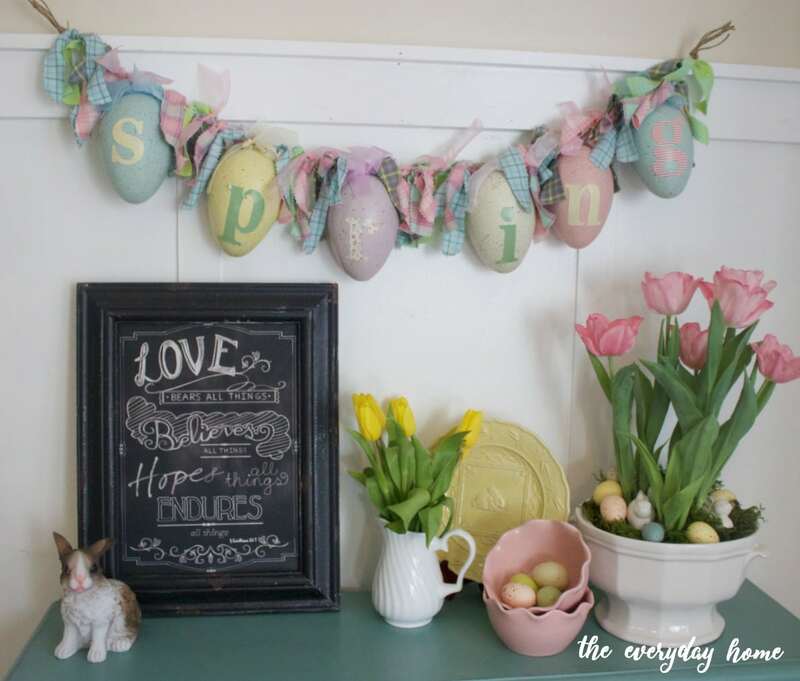 This Easter Egg Rag Garland is made from oversized eggs and strips of colorful spring fabric. Or you could use smaller eggs and have them dangle down. 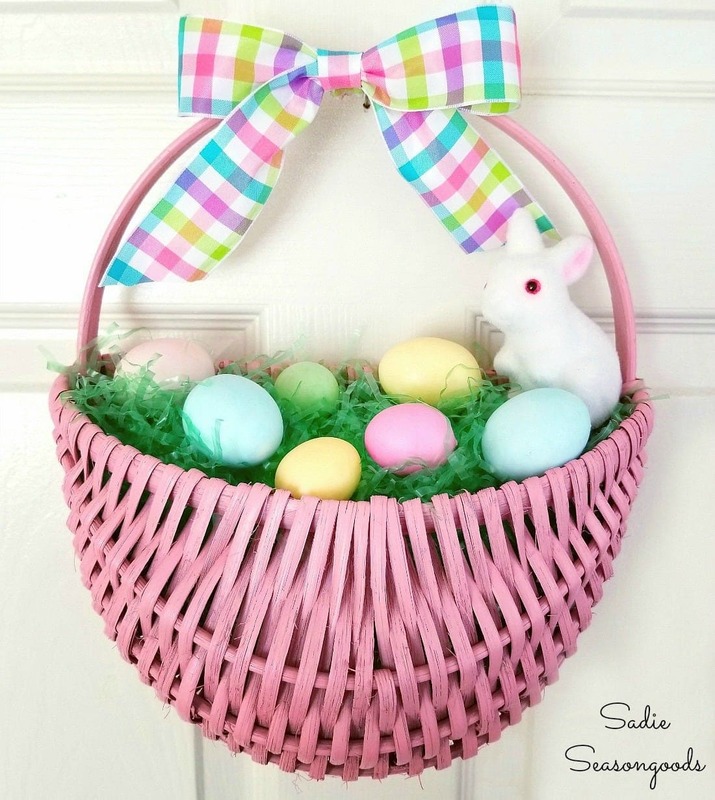 Upcycle an existing basket and use this clever way to make those eggs stay in the basket for a super cute Easter Basket Wreath. 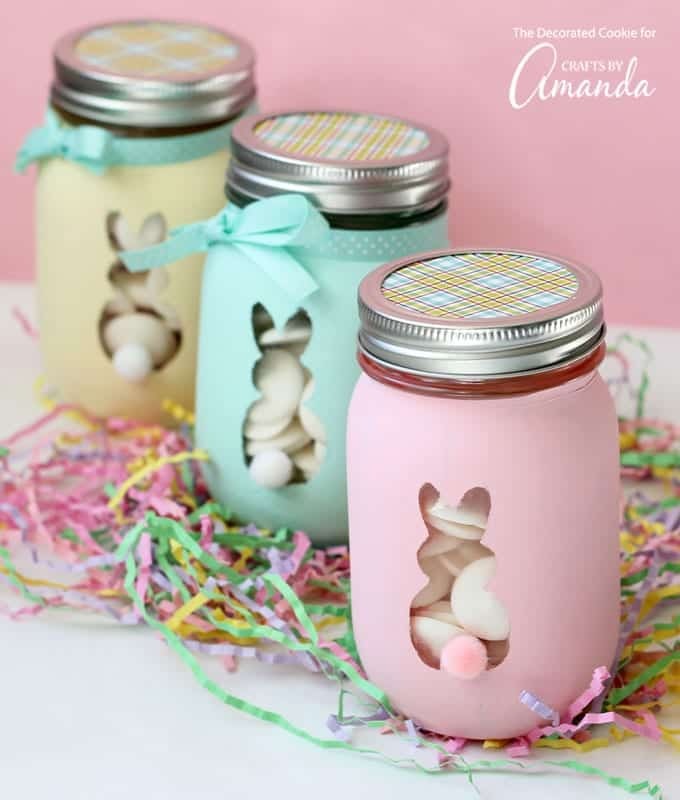 Use the free bunny printable to create these adorable Easter Bunny Mason Jars. No fancy machine needed, just a few supplies from the craft store and use these jars for candy or Easter decorations. 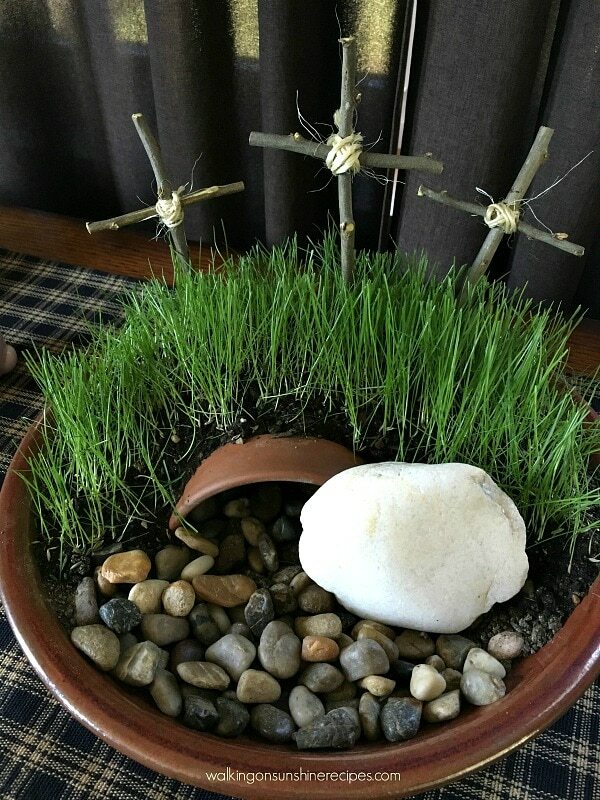 My friend Lois over at Walking on Sunshine Recipes shows how to make a Resurrection Garden down to planting the REAL grass. 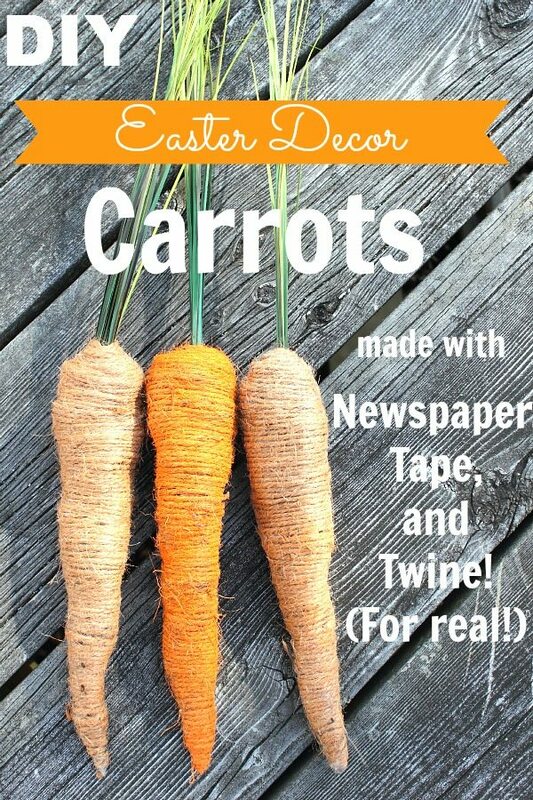 How cute are these Easter Decor Carrots made from the simplest of items? I don’t think our Easter decor would be complete without making these cute carrots. 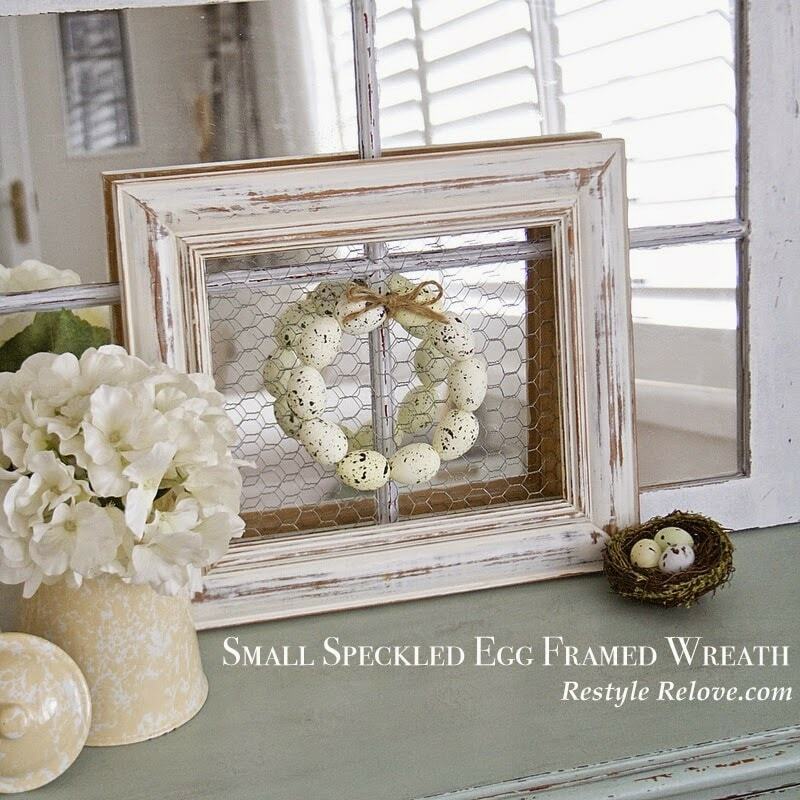 Julie over at Restyle Relove created a perfect farmhouse Easter Decorations with this Speckled Egg Framed Wreath Frame Its so country and it would fit into our Ranch Decor perfectly! It’s totally on our list to make this year. 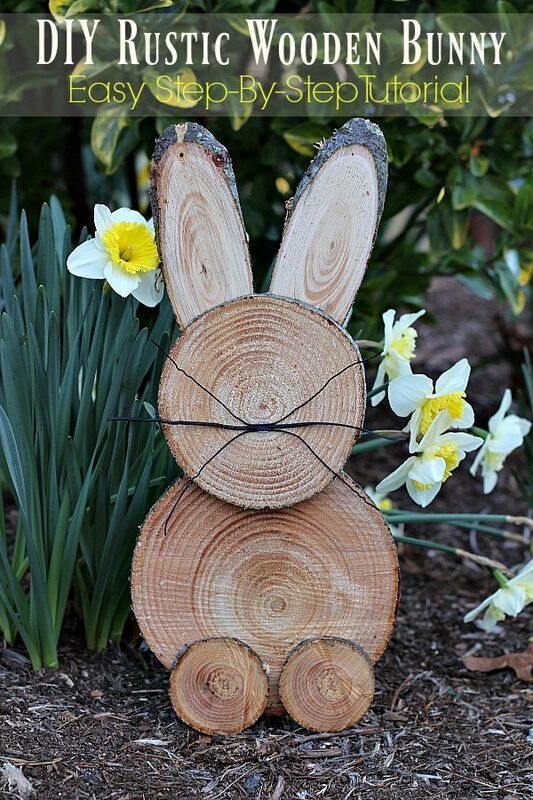 Now I need to get the hubby to help me make this clever DIY Rustic Wooden Bunny. It’s such a super cute idea for my DIY Easter decorations. Click Here to save these Rustic Easter Decorations to Pinterest.